The powder season is winding down and our thoughts are turning to counting down the weeks ‘til shorts season. Here’s how to plan a camping trip with your favorite couch potato — without breaking up. 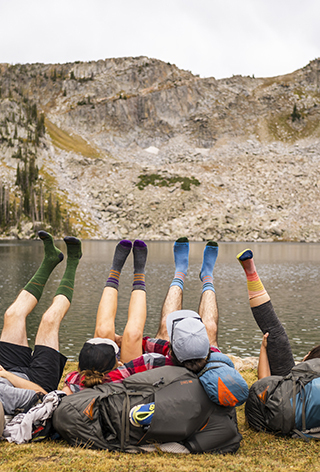 Your friends here at Kelty are officially gearing up for our favorite kind of outdoor adventure: camping with friends. Kelty: noun | \kel-tee\ (1) activity engaged in for enjoyment and recreation. (2) something way more fun than work. At Kelty, pranks on the boss, bring your pet to work day, and working with the sound turned up aren't perks for our crew, they're our daily "jams." The whole "work hard to play hard" thing is actually reversed for us. Here, playing outside is WHY we're here. Kelty gives you the easy and spontaneous excuse you need to get out there and escape from the mundane. We build great tents, sleeping bags, and backpacks that are made to last and inspire you to rediscover the joy of spontaneous play. Every. Day. Sign up for our emails and we'll send you gear updates, giveaways and exclusive deals. So you can get to the fun. Faster.